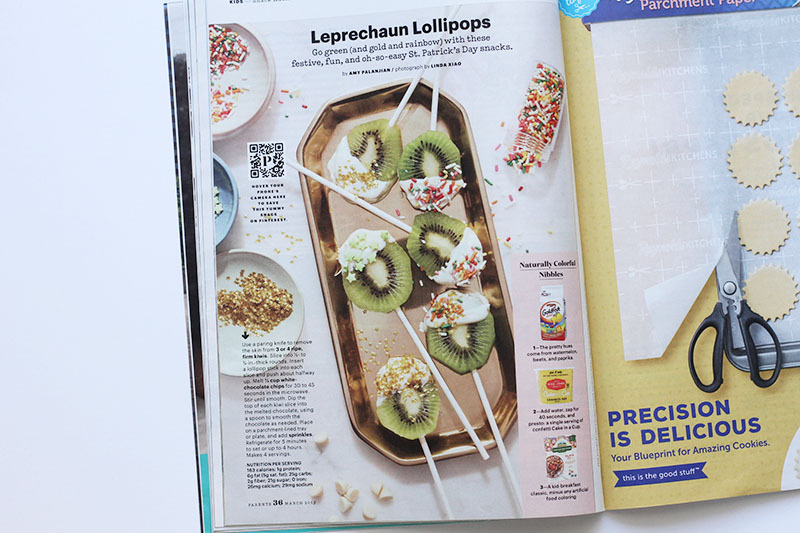 This month I have two fun magazine stories out in the world and both are tied to St. Patrick’s Day—and serving up green treats for the kids. All Recipes ran my Spinach Banana Pancakes recipe, which is one of our favorite ways to serve up veggies for breakfast. And I created a really sweet and easy kiwi lollipop treat for Parents. My girls loved these when I tested them out at home!